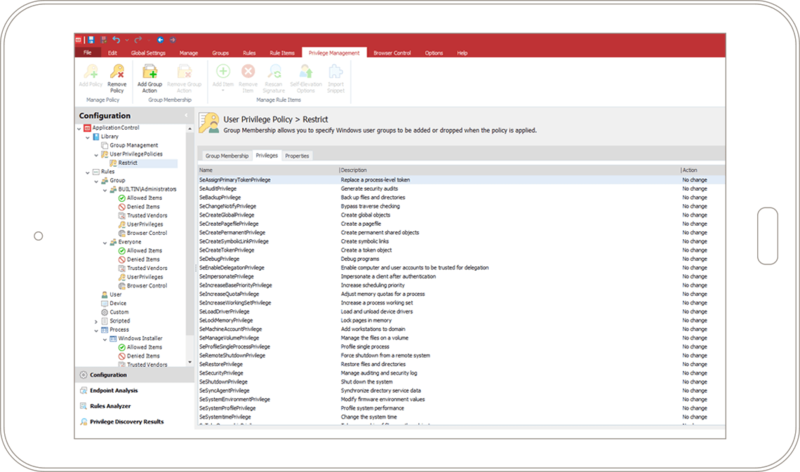 Simplify security for both IT and your users with privilege management that complements and extends the value of your system centre configuration manager (SCCM). 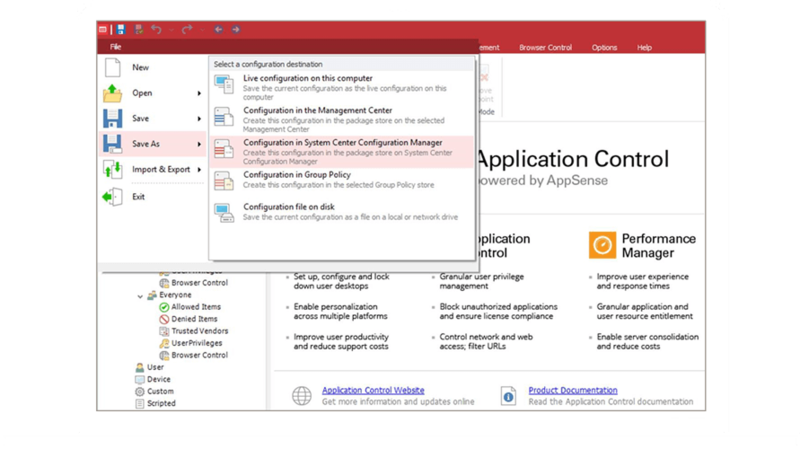 Help ensure that only authorised apps can execute, based on context such as user role, locale and device. Implement and deploy system centre configurations easier through SCCM. Grant users the ability to run authorised apps for a period of time, despite restricted privileges. Help ensure that unknown applications can’t execute unless introduced by authorised systems or users.